13 Sep 2018 --- Due to today's increasingly hectic society, snacking is gaining in importance for consumers. People have little or no time to cook or to prepare food. But even when snacking in-between meals or on the go, food has to be fresh, appealing and satisfying, according to GNT, who has identified the top five snacking trends to fulfill consumers need for snacking, any time of the day. Exberry (by GNT) is a brand of Coloring Foods for the food and beverage industry. Coloring Foods are made from fruits, vegetables and edible plants using a physical manufacturing process processed with water. When it comes to nibbles, unhealthy snacks have served their time. Due to the growing consumer concern for health and well-being, completely natural products are more in demand. There has been a 45 percent average annual growth of food and beverage launches with a vegan positioning, according to data from Innova Market Insights. Vegetable and plant-based snacks with ingredients such as beetroot, carrot and kale, are popping up more often on supermarket shelves. For example, the deep purple of beetroot or the vibrant orange of a carrot can easily be achieved with Exberry Coloring Foods (color concentrates made exclusively from fruit, vegetables and edible plants) – simply coloring food with food. The rise of social media has moved the importance of color up a level. so the time for foods with vibrant colors has arrived. Color and flavor come hand in hand and with international cuisine growing consumers are embracing new experiences, leading them to exciting worlds of taste. Unusual and exotic colors can help to stimulate appetite and enjoyment, a key driver for consumers choosing products for snacking moments. When it comes to flavor, Europeans, for instance, tend to choose ingredients such as exotic spice blends or wasabi. But even the most exotic flavor is not enjoyable without an appealing look. Natural colors are indispensable because they influence taste experiences and are the primary indicator of quality and freshness. Color is not only required to support new flavors, but it has also actually become a trend in itself. Last year, Innova Market Insights identified “Say it with Color” as one of the top trends for 2018. “Instagrammable” food is becoming increasingly vital to millennials, so the time for foods with vibrant colors has arrived. “People create fantastic Pinterest pages. For example, they are all color-coded or highlighting specific features,” says Lu Ann Williams, Director of Innovation at Innova Market Insights. This applies equally to snacks. Color is the first characteristic that customers recognize when browsing supermarket shelves: we eat with our eyes. The rise of social media has moved the importance of color up a level. 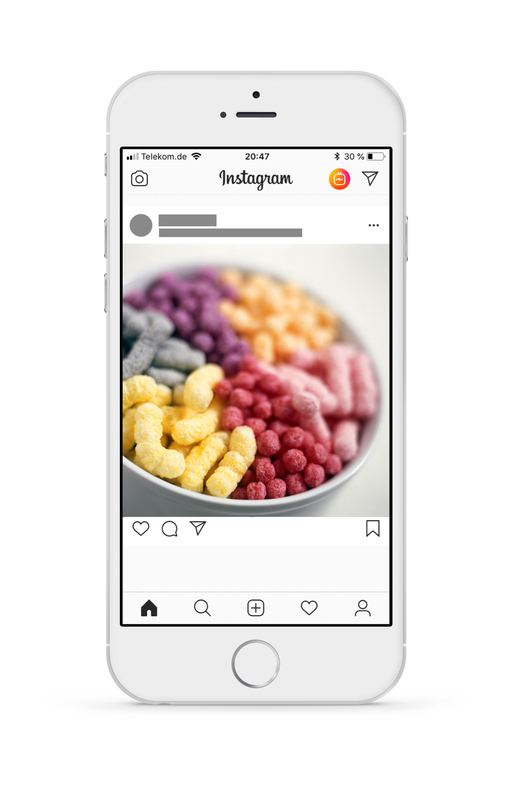 Colorful and delicious looking food gets photographed and shared with friends and family on social media – be it pink crackers or rainbow popcorn. Purple is just one unusual color becoming more popular in snacking products and weaving purple into savory applications is a great way to engage customers as well as suggesting potential nutritional benefits visually, according to GNT. Creating these eye-catching concepts in compliance with the global health drive requires clever product design and technical knowledge. Popcorn is no longer only a snack for the movies. Having already emerged some time ago, salty popcorn is experiencing a significant boom. Unexpected flavor combinations are creating hot, grown-up snacks that go nicely with a glass of wine as well as a relaxing evening in front of the TV. 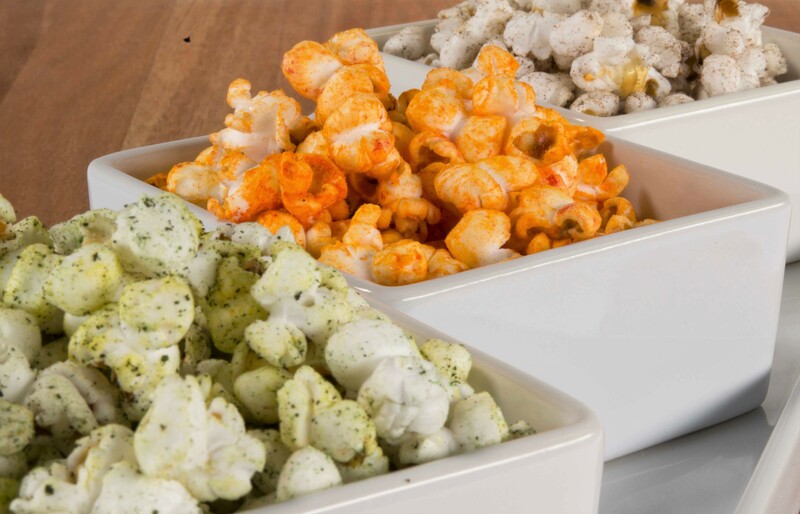 Gradually, the savory alternatives are outstripping sweet popcorn options – whether in the form of green popcorn tossed with herbs and parmesan or an orange chili-jalapeno snack. Consumers have acquired a taste for premium creations, with unusual flavors and appealing colors. To provide premium solutions, brands have to deliver high-end ingredients, which means that additives and artificial colors are becoming a no-go. When working out, the effort needs to be worth it. After training, people no longer want bars that are loaded with sugar. To guarantee optimal nourishment, snacks such as dried meat and fish bits are on the rise. The launch of meat snacks has grown globally by almost 30 percent over the past five years, according to Innova Market Insights. When it comes to coloring meat, additives or nitrites are still commonly used, as there has until now been a lack of entirely natural solutions available. However, these kinds of colorings clash with consumers’ expectations. Thanks to the Exberry Savory Range, the first full range of Coloring Food ingredients for savory applications is now available, providing natural color opportunities for meat products and the overall savory market, according to GNT. with unusual flavors and appealing colors. The major trends in snacking all point in the same direction: playfulness and conscious eating. To fulfill consumers’ demands for healthy and delicious snacks in appealing colors, manufacturers only have one choice: Coloring Foods. With Exberry colors from fruit, vegetables and plants – clean, clear and easy to understand labeling can be achieved. Exberry can be labeled quite simply as “Coloring Food (concentrate of carrot, beetroot)” providing positive and informative communication for the consumer. FoodIngredientsFirst has reached out to GNT for further information. 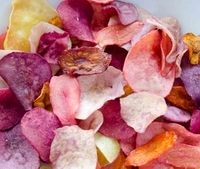 Last month, FoodIngredientsFirst published a Special Report on Natural Colors. You can read more on this here. Next week, FoodIngredientsFirst will be publishing a Special Report on Savory Snacking. Stay tuned!